Hi, I hope it is OK to post this. I’ve seen some conversations here and in person about moving from code/UX/UI etc to design. The traditional option is to go and spend a few years at college but for many of us, this isn’t really an option. I studied design when I left school and found that the most valuable thing it provided was space and time to try out ideas and follow set briefs given by the teacher. On this basis, I decided to write a book. It is a book of practical design exercises and projects to help readers develop their design skills at home in their own time. It doesn’t teach the technicalities of typography and colour theory but prompts the student to research these as a part of each project and developing their own work based on what they’ve learned. Not much detail as to what to expect inside, are u able to offer a preview or snippet on your listing? There is a look inside feature but adding more to the description sounds like a good idea. It sure is! You’re a valued member of this community who frequently steps up to help others and as such you are more than welcome to share your work (or book)! 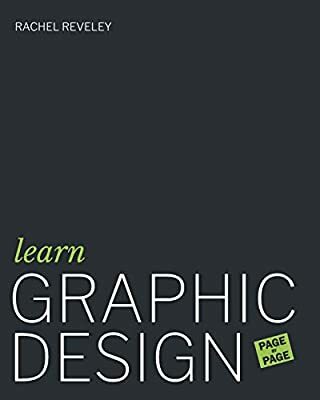 Hi @rachelreveley: I am thrilled that you posted this, as I’ve been struggling to learn graphic/visual design on my own. I just ordered your book. Given that my contract position ends today, I should even have time to play with it while I job hunt. I hope it helps. I would love your feedback. Unfortunately I updated the book as I found an error this morning. Let me know if you see it on page 20 and i’ll send you the updated PDF with the correction.